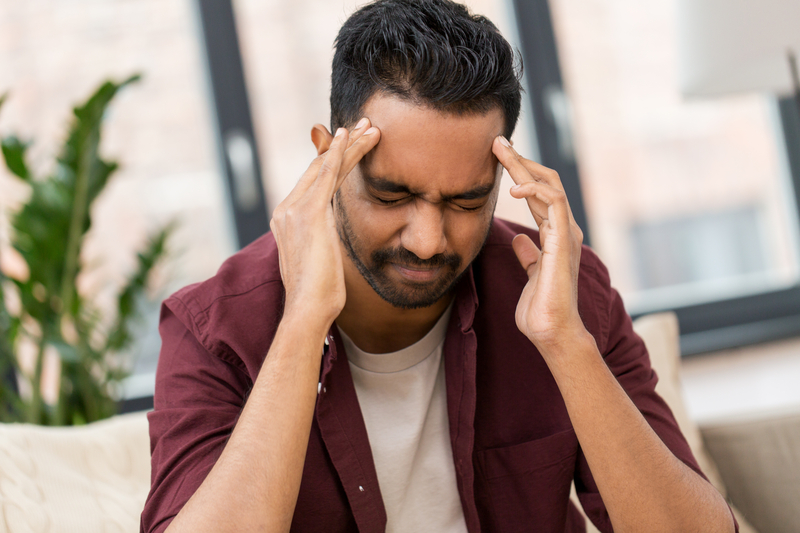 Pamela Gellatly of Healthcare RM looks at the link between musculoskeletal and mental health disorders in the workplace and how organizations need to join the dots to reduce their risk and benefit their employees. Musculoskeletal disorders (MSDs), and, in particular, the experience of musculoskeletal-related pain has been one of the many unanswered questions relating to a person’s perception of ill health, that may or may not have an underlying organic cause. The paradox of a person’s belief that there is something physically wrong with them when clinicians cannot find a tangible reason has not only been of interest to the clinical profession but has fascinated philosophers for many years. The development of the biopsychosocial model broadened the concept of a psychological and social contribution in relation to musculoskeletal disorders but, arguably has not been extended to mental health (MH). However, what is evident is that a person’s belief that they are stressed, anxious or depressed and is an illness that requires treating, is equally important in mental health as it is in musculoskeletal health. Over the last twenty years, there has been a clear focus on work-related mental health with work often cited as the main causative factor. This focus is now starting to change as we accept that work-related stressors, inherent in most jobs, cannot be isolated from personal stressors and that mental ill health in the workplace rarely has a single causation but is often multifactorial in nature, and therefore requires a multidimensional solution. Musculoskeletal and mental health disorders are intertwined, as are other conditions and continuing to assess symptoms as a single condition, with a single causation, requiring a single intervention pathway, will result in a continuing failure to prevent, assess and manage these (and other) conditions appropriately. The purpose of this article is to introduce some of the issues that exist at a physical, psychological and social level and the interrelationships with an organization’s health, safety and wellbeing policies, and benefits, which can adversely affect the onset, maintenance, and severity of both conditions. MSDs remain the most common single condition, by incidence, affecting the working population. This remains true, even though the apparent historic causation of manual handling, has reduced significantly. Sickness and invalidity benefit rose exponentially during the period from 1953 to 1995 suggesting that possible causation was somewhat more complex. During this period, the link with psychological and social phenomena emerged and became accepted, but evidence to suggest that this approach has made a difference is not yet apparent. Back pain alone has been termed a 20th-century medical disaster, which has continued into the 21st century. While 85% of low back pain has no clear clinical diagnosis, individuals continue to seek a clinical solution and employers to provide one. Possible causation of low back pain has been deliberated on for many years but understanding pain remains as complex as ever with very little evidence to suggest that progress has been made, but normalization of the problem is said to play a key part. Within the “market” of workplace stress, anxiety and depression – normalization is rarely mentioned yet the evidence-based best practice of post-traumatic stress does exactly that. MSDs are the major reason for days lost due to illness and injury in the workplace after short-term ailments. In 2016, sickness absence in the UK labor market accounted for 137.3 million days lost, of which 30.8 million days were due to MSDs and 15 million days were lost due to stress, anxiety, and depression, representing a 6% and 12% respectively reduction from 2015. The media often juxtaposes these two conditions suggesting that mental ill health is increasing and that it is hidden due to the stigma associated with mental ill health. While it is important to identify, understand and support those that need help, it is equally important that we do not “catastrophize” the problem, as in doing so we can cause harm. Understanding the implication of “damage beliefs” and perceived injustice can be gained from forty years of the biopsychosocial model. In 2016/17 the suggested prevalence of work-related MSDs (WRMSD) reported was 1,550 cases, while mental health was 1610 cases in 100,000 people, but the length of absence reported for both conditions, appeared more aligned to a normal MSD or MH length of absence. Workplace psychosocial factors (e.g. organizational culture) and the interaction between health and safety climate and human factors are more likely to cause an MSD than any single other causation. Understanding (the association with personal risks (and it is assumed MH could be said to be similar) should be relatively easy to comprehend, yet guidance on how to assess and address these factors is somewhat lacking from public bodies. 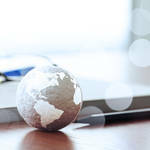 The data reported in many different publications are collated from a relatively small number of national surveys that rely on subjective reporting of both sickness absence and work-related ill health or injury. Such reliance is unlikely to represent an accurate reflection of prevalence and incidence, especially in relation to apparent work-related associations and lead to the implementation of ineffective control strategies. Self-reports reflect an individual’s perception and belief of causation and if measured objectively would suggest a circa 28% (MSD) and circa 20% (MH) actual work-relatedness. Therefore, it is difficult to quantify either the scale of the problem or the actual causation from traditional data collection methods. 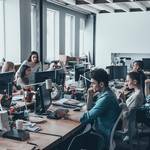 Data identified across four participating organizations (n = 56,000) conducted by the author suggests that although MSDs are still prevalent in workers involved in active and strenuous roles, sedentary workers also experience a high prevalence, but can remain in, or return to, work easier. This would indicate that MSDs are potentially being caused or contributed to by other constructs (e.g. sitting and inactivity) as identified in research associated with sitting and body composition. Mental health, while circa 30% lower in incidence (based on the number of episodes) attracts a higher length of absence; and hence, in some organizations, the number of working days lost may be associated with psychological ill health. However, when analyzing the data based on the number of people affected by each condition across various benefits, then it is evident that MSDs are considerably higher than MH in certain job roles (e.g. field-based staff) while mental ill health is more prevalent in office-based roles. Interestingly data from circa 8,000 musculoskeletal cases and 6,000 mental health cases identified the incidence variation by age and job type (Table 1). Objective assessments suggest a higher proportion of individuals require intervention with a clinical diagnosis of an MSD compared to a clinical diagnosis of mental health. This is also evident in healthcare plans where 45% of the claims are for MSDs compared to less than 5% MH. However, it is also apparent that access to private interventions (from studying private healthcare claims and direct physiotherapy provision) results in over 80% of assessments being referred for treatment, which when audited was found should have been recommended in less than 40% of the cases. While the components of organizational health, safety and wellbeing operate in “silos” in most organizations, the evidence now strongly suggests that the presence of individual risks (e.g. inactivity, excess weight, poor nutrition, and negative attitudes and beliefs) should no longer be ignored. Understanding the interaction or implication of the presence of such risks should change the way in which safety is assessed and controlled, health is managed (including the content of the benefits provided) and the focus of wellbeing programs. The link between MSDs and MH with excess weight, inactivity, and poor nutrition has been evident for twenty years but rarely features in the diagnostic or intervention MSD or MH pathway. 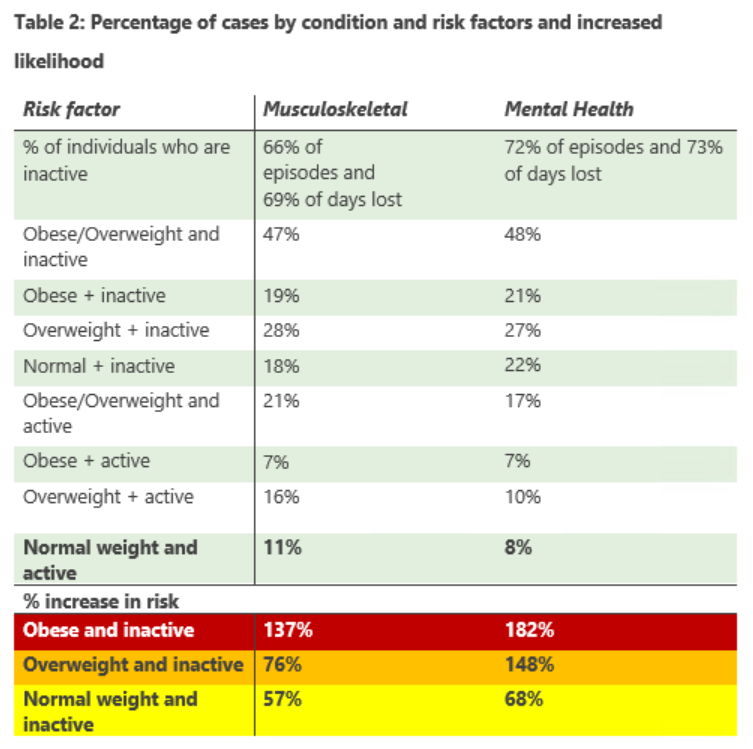 Table 2 identifies the risk of an increase in incidence for MSDs and MH based on levels of inactivity and has weight increases. From the analysis of circa 8,000 MSD and 6,000 MH cases, only 11% and 8% respectively were normal weight and active, strongly suggesting the association with the incidence of these two risk factors. Aging is inevitable yet physical activity, good nutrition, and weight management may be used to counteract the aging process. The effect of negative lifestyle behaviors become more apparent in later years and are likely to affect levels of disability and mobility, which if understood are factors that most people would wish to avoid. However, for MH younger people appear more susceptible (Table 2) and the reasons for this more complex. The impact of an occupation on the individual or the individual on their occupation (due to personal risks) and the application of traditional controls and interventions may lead to measures that are inappropriate and/or unlikely to deliver a long-term outcome for the employee or the business. The “silo” nature of safety, health, and wellbeing often lead employers to unsatisfactory outcomes. A focus on work-related factors will mean that circa 80% of the risk will be ignored while providing only clinical interventions will equally ignore the main risks, namely those that can be eliminated or reduced by the individual if they are helped to understand the real risks and what they need to do to resolve them. The link between MSDs and psychological issues (e.g. negative attitudes, beliefs, and social factors) work satisfaction or financial compensation, has been well documented in research. Such maintenance factors or obstacles to recovery can, if not identified and treated, affect the likelihood of an individual returning to normal function (for them), and health and work. The link between psychosocial factors, comorbidities (e.g. depression) are less understood and further work required, possibly as part of the risk assessment process to better understand not only how work-related problems can be prevented but also how individuals can learn to cope better with life in general. A review of the literature provided by three major wellbeing organizations omitted any reference to musculoskeletal health other than where the organization provided a limited assessment. An effective psychological assessment was also somewhat lacking, suggesting that the wellbeing industry is failing to address the two most common workplace health risk factors. It is hoped that the data discussion points highlighted in this article will help drive understanding of why integration of safety, health, and wellbeing at an organizational level is so important. Furthermore, it is intended that the introduction of some basic reasons why we need to change the manner in which MSDs and MH are assessed and managed across the physical, psychological and social level will allow employers to think the unthinkable. Organizations need to: focus on the whole person and broaden their risk management strategy to encompass personal risks; develop a range of benefits that consider the clinical and non-clinical pathways, and ensure that wellbeing also encompasses these risk factors if costs are to be reduced and lives improved. Bio: Pamela founded Healthcare RM 17 years ago to provide an integrated approach to Employee Health Risk Management. This approach considers the occupational and personal risk factors across all aspects of safety, health, and wellbeing in the workplace. This approach is different in that it looks at the prevention and management of all conditions, in particular, what healthcare rm has identified as the two main risk factors, musculoskeletal & mental health. Significant research allows us to challenge the status quo of more traditional models. Our outcomes have been shown to deliver both financial and non-financial benefits to organizations. If you would like to read more articles about MSDs and mental health disorders in the workplace, please click here.